Behind closed doors, a silent epidemic in Japan is threatening to plague its future. Young men and women in Japan are turning their backs to the outside world — it’s been called Japan’s ‘silent epidemic.’ They’re living in their bedrooms for months, or even years at a time—not having any contact with family or friends. This reclusive psychological and sociological phenomenon is known as Hikikomori, which literally translates to pulling inwards or withdrawal. The epidemic is so prevalent that recent studies estimate anywhere from 500,000 to as many as 2 million people in Japan are caught in its grip with many experts calling it one of the biggest social and health problems plaguing the country. Told from the perspective of the Hikikomoris themselves, FUSION provides an in-depth look at the disorder that threatens to plague Japan’s future. 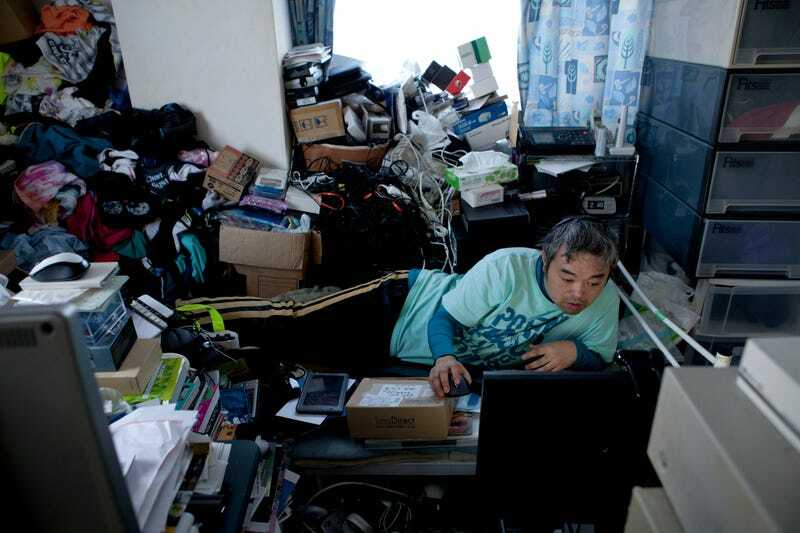 ‘Hikikomori: Japan’s Vanishing People’ premieres Sunday, May 7 @ 8:30PM on FUSION TV. ‘Hikikomori,’ a FUSION Original, is directed and produced by Mandana Mofidi. Hikikomori is Mofidi’s first short documentary film, she is currently the Executive Director of Audio for Fusion Media Group. She has also worked for Emmy award winning shows like VICE on HBO, Frontline and 60 Minutes and most recently on the Fusion production Outpost. Her passion for storytelling comes from early beginnings in public radio where she produced long format audio documentaries. In 2009, she was awarded the Alistair Cooke Fulbright Award in Journalism that gave her the opportunity to acquire her graduate degree with City University London in international journalism while also having a placement with the BBC Radio 4.